A seasoned health editor/medical writer reports on news and information about cardiac health. * From Circulation, May, 13, 2008: Hands-on defibrillation: an analysis of electrical current flow through rescuers in direct contact with patients during biphasic external defibrillation. * From Current Opinions in Critical Care, June 2008: Airway Techniques and Ventilation Strategies. * From Annal's of Emergency Medicine, September 2008: Cardiocerebral Resuscitation Improves Neurologically Intact Survival of Patients with Out-of-Hospital Cardiac Arrest. 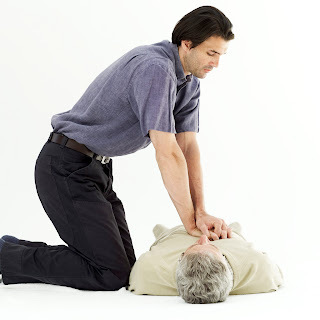 * Resuscitation, October, 2008: Effectiveness of simplified chest compression-only CPR training for the general public: a randomized controlled trial. * From Journal of the American College of Cardiology, Jan. 13, 2009: Cardiocerebral resuscitation: a broader perspective. * From Circulation, May 18, 2009: Do Modifications of the American Heart Association Guidelines Improve Survival of Patients with Out-of-Hospital Cardiac Arrest? * From Current Opinions in Critical Care, June 2009: Chest compression-only cardiocerebral resuscitation. * From BMC Nurse, July 2009: A randomized cross-over study of the quality of cardiopulmonary resuscitation among females performing 30:2 and hands-only cardiopulmonary resuscitation. * From Heart, Sept. 8, 2009: Rationale for Continuous Chest Compression Cardiopulmonary Resuscitation. * Resuscitation, October 2009: Effectiveness of simplified chest compression-only CPR training program with or without preparatory self-learning video: a randomized controlled trial. * From Annals of Emergency Medicine, November 2009: Passive Oxygen Insufflation is Superior to Bag-Valve-Mask Ventilation for Witnessed Ventricular Fibrillation Out-of-Hospital Cardiac Arrest. * From Journal of Cardiovascular Electrophysiology, February 2010: Optimizing Survival from Out-of-Hospital Cardiac Arrest. A newspaper-trained journalist with more than two decades of experience covering medicine, health, fitness and nutrition.